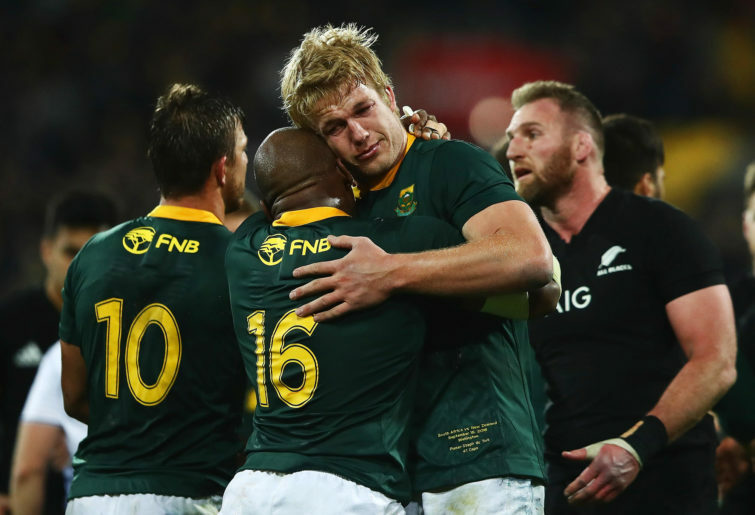 Even for those that aren’t Springboks fans, it was hard not to feel a bit of a buzz as the 120kg flanker – big and brutal – got emotional following their 36-34 upset win over the All Blacks. The Boks had lost to the Wallabies in Brisbane the week before and had been humbled by Argentina in Mendoza a few weeks earlier. They hadn’t won in New Zealand in nine years. Du Toit was part of the squad that was humiliated 57-0 by the All Blacks the previous year at North Harbour Stadium in Auckland, so given the emphatic turnaround it’s easy to understand the South Africans’ elation at the final whistle. For the Springboks, this was their “line in the sand” performance. Sick of being beaten – and sometimes flogged – by the Kiwis, they rolled up their sleeves and put in a pride-packed effort that produced a memorable triumph. It was a result that comprehensively defied their ranking of world No.7. The reason for reflecting on this is because Wallabies fans, who witnessed their side this year pretty much going from bad to worse, never got that Test match display that demonstrated they were sick of being bashed around and it was time to make a statement. That’s not to say the effort wasn’t there, but surely if the Wallabies players have just an inkling of how they’re perceived by expectant fans, they can discover the solidarity to come together and blitz an opposition team. Probably the most enthralling performance was against Argentina in their Rugby Championship clash in Salta, edging out the Pumas 45-34. The Wallabies’ first-Test win over Ireland was far from convincing, needing 10 points in the last ten minutes to overpower a side with Jonny Sexton starting on the bench. A narrow victory over South Africa in Brisbane showed grit, and their only other 2018 win was a bumbling 26-7 victory over Italy in Padova. Of the rest of the Tests this year, admittedly against the globe’s best sides, there simply wasn’t a well-controlled and ruthless display. Even as the lineout flopped and the attack continued to struggle, there were few bursts of inspiration and resolve. The All Blacks juggernaut rolled on. England were out of sorts in a June series loss to England, but flexed their muscle in November. Ireland were top-class all year. Argentina knocked over the Wallabies and Springboks. Wales proved formidable. Scotland are consistently a tough team who can match it with any of the top-five sides. But for the Wallabies, there was little to be optimistic about. The Wallabies offered hope in 2017, turning up the physicality in a Bledisloe Cup win over the All Blacks, albeit in a dead-rubber game three. That year was often deflating too, but that victory in Brisbane at least gave some hope that the tide was turning. Lukhan Tui and Jack Dempsey were new faces that stood up to the All Blacks’ powerful pack that night. Wallabies rugby fans were this year pleading for a shot of that aggression – but it never came. At the Cake Tin this year, the Boks had to make 100 more tackles than the All Blacks. They dug in and ground out the win. They were there to make a statement. And following that win they grew in confidence and had a strong finish to the year. In his first year as Boks coach, Rassie Erasmus was able to get his team organised and well-drilled, but more importantly, play with a ferocity that’s needed at Test level to have a slither of a hope of knocking over the All Blacks, Ireland and England. Cheika, on the other hand, couldn’t find a way to motivate the Wallabies when they needed to conjure up that emotion-filled ‘line in the sand’ performance, aside from that impressive second half in Salta. And so sadly for Wallabies fans, the only reason for optimism comes down to December, when there’s no Test match rugby played. 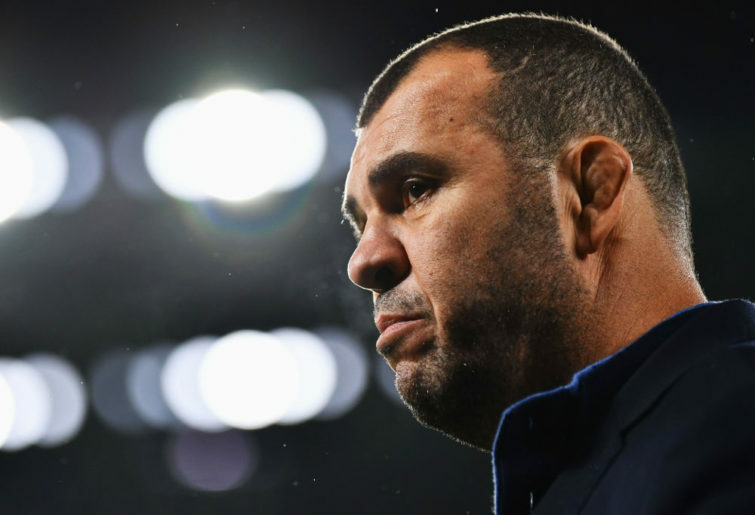 Rugby Australia CEO Raelene Castle and Cheika will meet next week, and if there’s no resolve from RA to make urgent coaching changes given the prolonged stretch of mediocrity, then the Wallabies have hit a dead end.